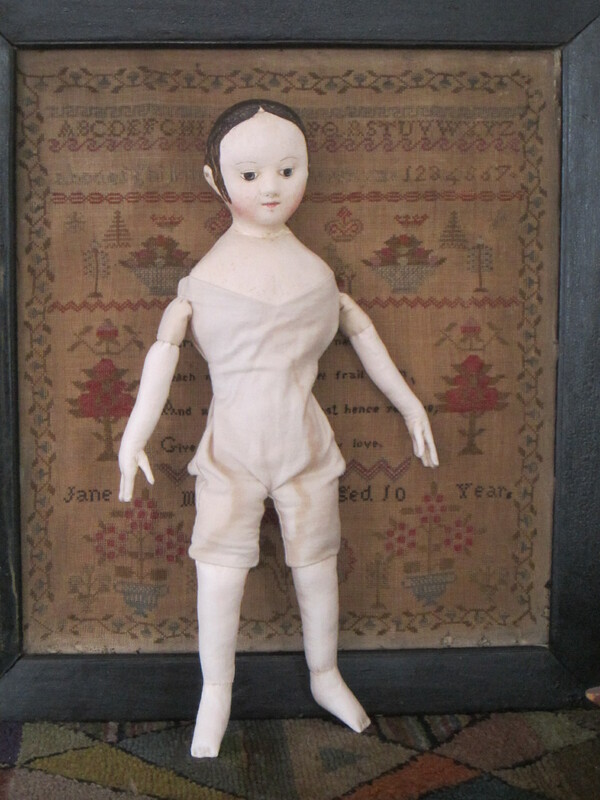 I’d like to introduce you all to Melissa’s doll. 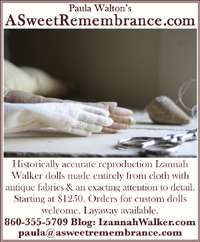 She is a wonderful example of one of my custom ordered reproduction Izannah Walker dolls. 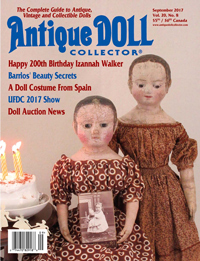 Melissa requested a doll with a very thin neck and downward tilted head, that had an appearance reminiscent of one of her favorite antique Izannah Walker dolls (a doll that was previously part of the Popp collection and later owned by R. John Wright). 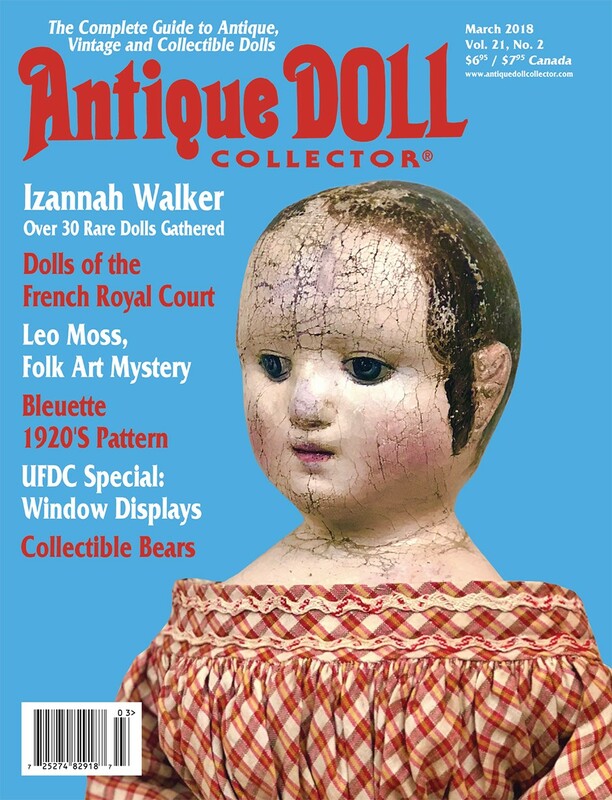 She asked me to give her doll a pale complexion, but one without the grey tint that many antique Izannahs have. 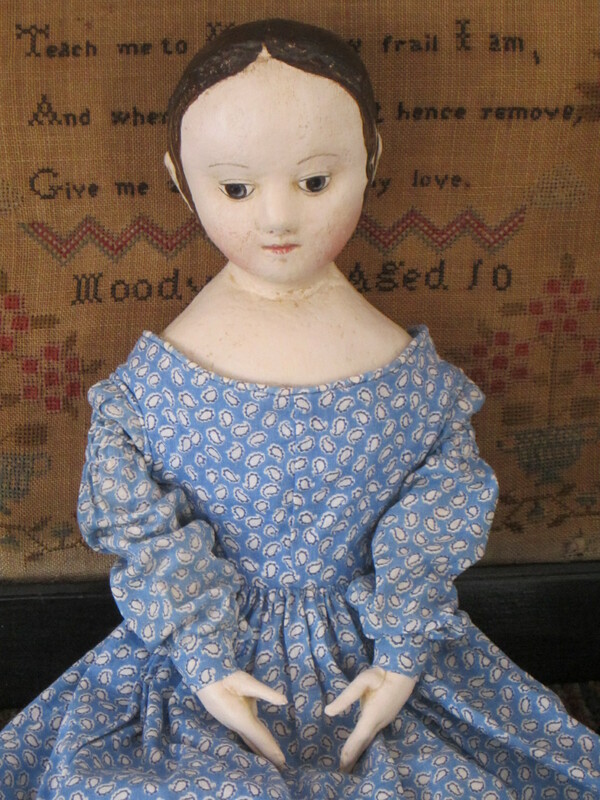 Melissa also wanted a paint surface that showed some moderate wear and age, but preferred her doll to have a “perfect” nose. 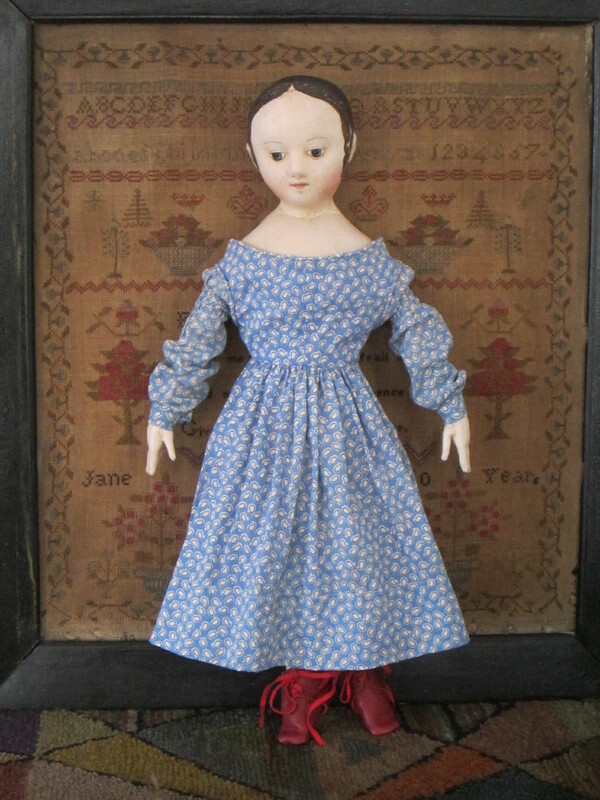 She chose the antique blue paisley print dress fabric from my fabric swatch book and found a photograph of a dress she loved in a museum collection for me to use as a reference. 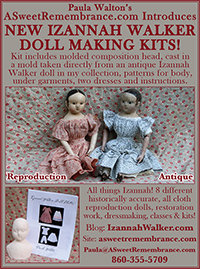 Because the dress Melissa wanted for her doll was of a slightly earlier style than those worn by most Izannah Walker dolls, the two of us created our own imagined history for the doll and her dress. 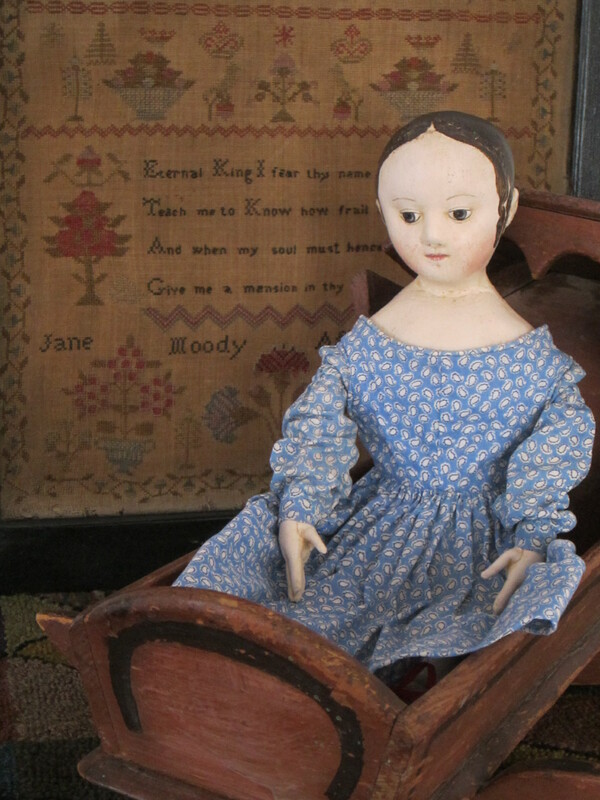 We decided that the grandmother, of the little girl who first owned this doll, sewed a dress for the doll just like the dresses that she had made for her own daughter. 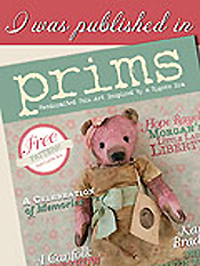 As I sewed on this dress I daydreamed of a grandmother taking apart a worn out dress that she has made many years before, when her daughter was a young girl. 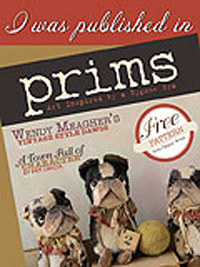 She set aside all of the best pieces of fabric, then carefully cut them out in a miniature version of the original dress. Then as she sat sewing all the pieces together, she told her granddaughter stories of how much the little girl’s mother had loved the dress and the things she did when she was a child. Exquisite! One of my favorites that you have made. She is absolutely spectacular…I LOVE her! 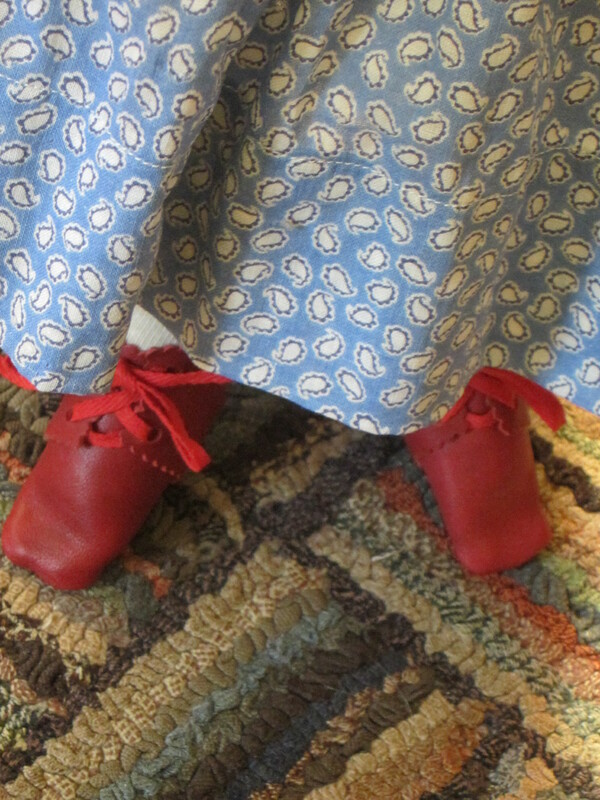 I love her dress with the red shoes…You are a wonderful artist. 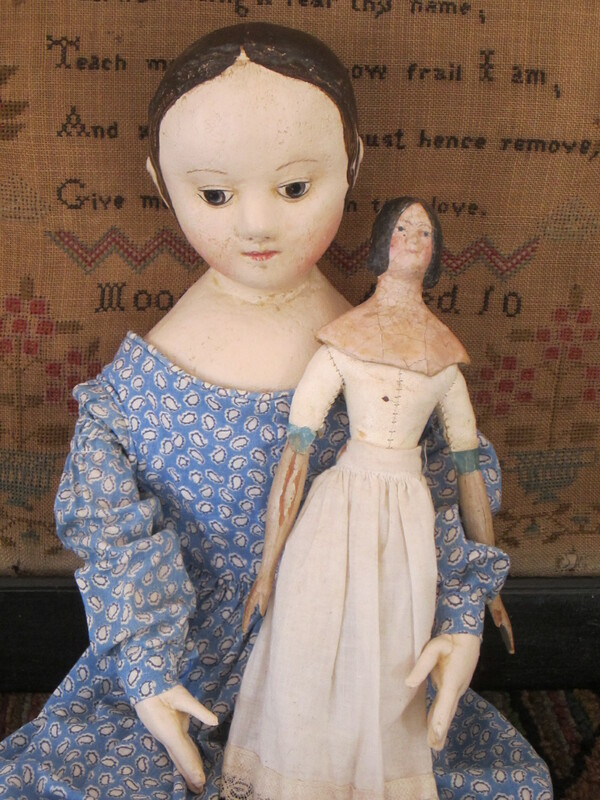 Melissa is very lucky to have such a special doll. 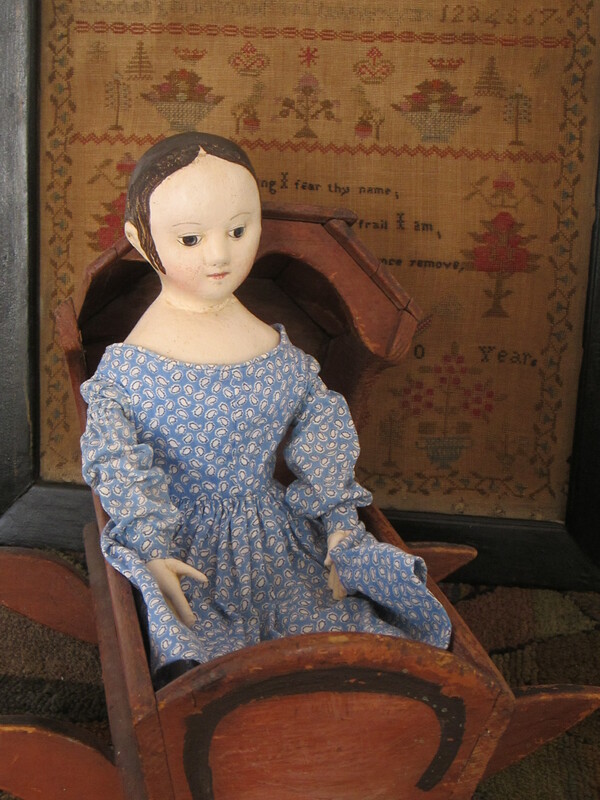 Melissa will be so pleased with her heirloom doll. 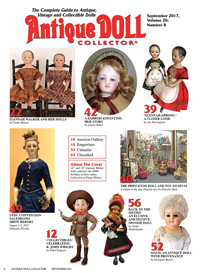 Paula, this doll is just wonderful ! I love the tilt of the head that you were able to magically create! She is very delicate and feminine. So Sweet! Wow! This doll is gorgeous Paula! She has such a sweet demeanor and the downward glance is perfect! Your hand painting of her face and curls are just exquisite.